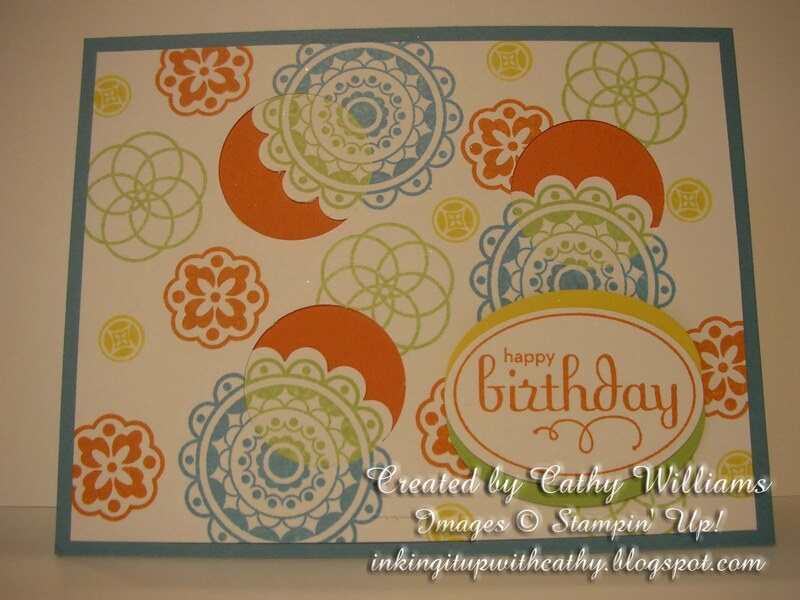 Today's card was CASE'd from one that I received at Stampin' Up! 's Convention last summer. 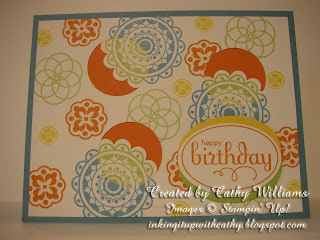 I just loved the layers and the bright colors. It is a great Birthday card that would work for a man, woman or child. LOVE this card! Such a clever "peekaboo" effect! What colors did you use? Looks like pumpkin pie, baja blue, wild wasabi, and daffodil delight? Absolutely stunning! Naomi, thanks for your nice comments! The colors are actually Pumpkin Pie, Daffodil Delight, Marina Mist and Certainly Celery.